After sitting on the idea and weighing your options, you’ve decided you’re ready to pull the trigger and become a homeowner. With this being one of the biggest financial decisions you may make in your entire lifetime, you want to make sure you're prepared and have taken all of the necessary steps. 1.) Know Your Credit Score/Improve It. One of the most important parts of the home-buying process is knowing your credit score and improving it to the best of your ability before you apply for a loan. Knowing your credit score will help you understand what your loan terms will be like. It will also help you determine the specific price range you should be focused on when looking at potential homes. There are multiples sites that will allow you to access your credit score quickly and hassle-free, so you can start off on the right foot to becoming a homeowner. *Disclaimer: A low credit score will increase the difficulty of getting approved for a loan, making it more complicated to become a homeowner in the near future. But don’t fret, there are a variety of ways to help increase your score and get you one step closer to your dream home. To get started on improving your credit score, Bank Rate offers tips such as watching your credit card balances and making sure you’re paying your bills on time. 2.) Build a Savings Account for a Down Payment. The type of loan you qualify for will determine how much money you should have saved up for your down payment on a home. Many people often hear that you should have a down payment of 20% secured; however, that isn’t always the case. Although a down payment of 20% has a variety of benefits, “there are a variety of mortgage options that allow you to make a down payment of less than 20%.” However, putting down less than 20% could potentially mean added upfront fees and/or increased interest fees overtime.To ensure you choose the down payment that’s right for you, be sure to determine how much you can afford, as well as look at all of your different loan options with lenders. This will help you to firmly understand how certain down payment options will affect your overall cost. What works for someone else may not necessarily work for you, so be sure to do your research, budget out your expenses, and start saving! 3.) Get Pre-Approved/Shop Around for Mortgages. As Bank Rate states, “shopping for a home before getting pre-approved for a mortgage is the equivalent of walking into a grocery store without a wallet.” You’d be surprised to know how many people skip this very important step. Although a pre-approval isn’t necessarily a loan commitment, it does save you time on the loan approval process, as well as show sellers that you’re serious about buying. It’s best to get pre-approved before you begin home shopping, as it will help you determine how much you can spend and filter out your wants vs. needs. Without a pre-approval, a deal on a home you’re interested in may fall through once you realize you can’t get the financing you need.You can be sure you’re buying a home that won’t financially drown you in the long-run, by determining exactly how much a lender would be willing to approve you for beforehand. 4.) Use a Trusted Realtor. 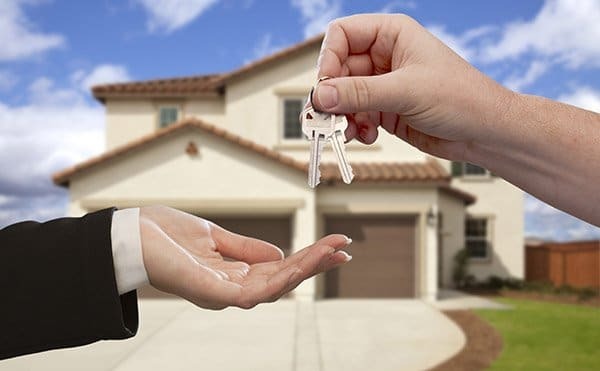 Using someone you can trust as your Realtor is crucial to a successful home buying process. Your agent should be your go-to for all of your real estate needs, and should do all of the heavy-lifting when it comes to finding your dream home. Not only do Realtors have great communications and negotiation skills, but they also have this amazing ability to find you a house that includes everything you want, all while keeping it within your budget! (They’re basically magicians). The best agents are those who are there for you from start to finish. They will answer all of your questions, minimize your stress, and make it known that YOU are their priority. If you’re in search of an agent but aren’t sure where to look - searching through Zillow reviews will help the best of the best stand out. In addition to your online searches, be sure to talk to friends and family in your area that have bought or sold real estate in the past. They will be able to give you recommendations and direction on where to take your search next. 5.) Know the Local Market. Once you begin home shopping, be sure to work with your agent to gain a better understanding of the local market. This will help you determine how much homes are going for in the area where you are looking, as well as identify recent shifts in the market that are significant. After securing your agent, ask them to run a Real Estate Market Analysis for you. This will help you understand the current housing market state and how much homes are worth in the area where you’re looking. Similarly, it will provide a buyer with realistic data before making an offer on a property. With interest rates on the steady rise, you may want to act sooner rather than later when it comes to buying a home, to ensure you are getting the best deal possible. When buying a home, an important thing to consider is the location of where you are buying. You want to make sure that where you are buying is perfect for your situation now, as well as for your future situation. For example, if you have kids, you don’t want to buy on a busy street and you want to make sure there are good schools around as well. Getting to know the neighborhood you are buying in is also important. But most importantly, you want to make sure that you can live with your commute to work before buying. In some cases, it may be wise to buy further away with a longer commute if you’re getting more for your dollar. And, if you do opt for a longer commute, you will want to figure out the local public transportation options as well. If moving into a neighborhood, be sure to ask if it is part of a Homeowners’ Association or not, because they typically come with requirements and monthly fees to pay for certain conveniences. 7.) Know What You Can Afford. A good rule of thumb is to never go above 40% of your take-home-pay in debt payments. To estimate what you can afford, take your current monthly debt payments and add what your monthly mortgage payment would be; if it is greater than 40% of your monthly pay, you are treading on thin ice. You don’t want to be struggling to pay your mortgage every month. Being a homeowner is nice, but not if it is causing you to be stressed out all the time. If you have to pay most of your monthly income towards your mortgage, you may not be able to have money for things like traveling, new cars, or even children.